Barcelona to seal Aaron Ramsey deal. Spanish giants Barcelona are looking to sign Arsenal midfielder Aaron Ramsey, according to ESPN. Spanish giants Barcelona are looking to sign Arsenal midfielder Aaron Ramsey, according to ESPN. Barcelona have been keeping tabs on the Welshman for the past several months and are now planning for a wonder bid, reportedly around €45million. 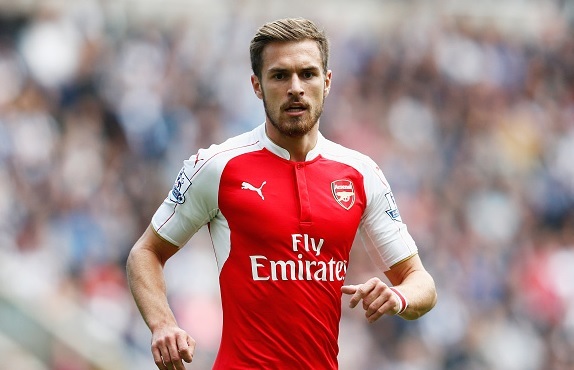 Ramsey has been regular for the Gunners, he has made 18 appearances so far in the Premier League. Arsenal boss Arsene Wenger is in no mood to sell his star player but a big bid would definitely change the mind of the Frenchman. Ramsey has been exceptional for the Premier League side for the past several seasons. The Gunners are currently suffering from injury problems and they need to keep him atleast till the summer as they have good chances of winning the Premier League title almost after 12 years. The 25-year-old is a top target of the La Liga giants. Ramsey would definitely want to seal this deal as he is eyeing to play with world best footballers. Ramsey scored a goal in a Premier League game against Liverpool last week. Ramsey was signed from Cardiff City back in 2008, he has made 250 appearances in all competitions.